Most spectacular natural anomalies in the world! We will be leading a small group tour of adventure travelers to one of our most exciting destinations this November. Chile is a narrow ribbon of land stretching from the middle of South America’s west coast all the way down to the southern tip of the continent. 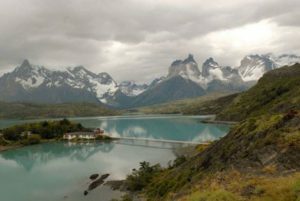 It contains some of the most spectacular natural anomalies in the world, from the looming snow-capped Andes along the country’s eastern border, to the desolate arid ‘far north’, to the dazzling explosion of icy fjords and glaciers of Patagonia.